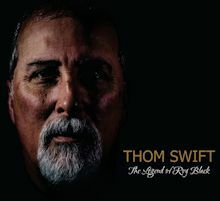 Thom’s latest album, The Wood Buffalo Youth Song Project has won a 2012 East Coast Music Award in the Children’s Recording of the Year category. The album was created with fellow Maritime musician, Keith Mullins. The project saw Swift and Mullins visit ten schools in ten days in Northern Alberta. Each day, they worked with a small group of students to create a song from scratch, exploring themes of love, family, strength, community and heritage. The student’s voices were recorded, followed by the songwriters’ voices and instruments to create a collection of ten original songs. The album was co-produced by musician, Steven Bowers and was mixed and mastered by Dave Gunning.